Bookkeeping, along with accounting is the language of business and it is the skill that every entrepreneur needs to master when planning to put up a business. There are several reasons bookkeeping should not be set aside even when your business is already doing well. Although it can be such a daunting task, it really pays off when you know how to keep your finances in check. Aside from helping you monitor your budgeting, bookkeeping will also help you lodge timely payments. Unfortunately, not every business owner has appreciated the benefits that bookkeeping provides. When success is within their reach, bookkeeping becomes a thing of the past. While some manage to cope with the demands of running a business, some just can’t keep up with it. For every business growth comes another opportunity for you to look at your time management skills and when you get sidetracked by other tasks, making bookkeeping the least of your priorities, you may need to redo how your business operates. When there’s plenty of room for advancements, budgeting your spending becomes trivial because you are solely focused on the more important tasks that you think are responsible for your business growth: selling or marketing. Bookkeeping is designed to keep your finances in check. It’s been created so you will have a full summary of your expenditures, income, sales and others. The business budget has four categories and these are fixed expenses, paycheque-allowance, prospective income and variable expenses. You should also set realistic balancing where you prioritize needs more than wants. Doing some upgrades so you can improve your business’ quality of work is definitely a must, but you need to know the difference between spending and investing. When you invest, you are spending your hard-earned money on things that will allow you to reap long-term benefits. Expenses can either help you obtain current or long-term benefits. Focus on expenses with long-term benefits because even if you have spent much, you can be sure that these benefits have significantly outweighed the cost in the long run. Have you ever found yourself totally confused of your business’ financial expenditures? Maybe you are missing out on maintaining records and keeping all receipts? If this is the case, make it a habit to keep invoices in a safe place where you can easily retrieve them when needed. It can save you from losing important records and you will also be more aware of your expenses. It is recommended that you use bookkeeping software that gives you the ability to upload receipts. When the money you used for business is the same as the one you used for your living expenses, losing track of your finances seems an easy thing to do. You might think that keeping both under the same account is a good way to manage your cash flow but the truth is, you can easily spend more than your credit limit because you think that you have steady cash flow. You have not prepared for the worst case scenario, which is going flat broke at the end of the month. The money that was intended for your living expenses have been spent on your business expenses. Not a good idea at all. One of the responsibilities of a business owner is to make sure that money is spent wisely. It is an unwise move to spend without a plan because this can lead to overspending. For businesses to obtain the best possible return, it is important that you spend the least amount of money. You should keep your budget in check and opt for the most cost-effective technique that can help you make a profit. Businesses are more likely to make a profit if they earn more than they spend. However, since it is inevitable to spend money, you just need to make sure that you are spending wisely. Unnecessary expenses can really hurt the financial aspect of your business so before you consider taking out money, see to it that you know where the money is going. Even if your business is profitable, you still need budgeting help so you will be able to keep track of your financial activity. It is frustrating to find yourself not getting a list of things done even when your funds keep depleting. If this is always the case, you need to rethink the way you spend as there might be some underlying factors that cause you to overspend and deter your business from growing. Your creditors and business associates should not lose faith in you, but if you continue to have more losses than profits, you are more likely to lose their trust. When it comes to your finances, important bills should not be overlooked as they are also an important component of your business. Taxes and other bills must be paid in a timely fashion especially the ones with the nearest due date. You should also consider bills that benefit you the most such as your credit card bill. Once payment with your credit card bills are paid you will be able to use the funds again when needed. Your petty cash can be one of the reasons for an unbalanced account at the end of each week or accounting period. If you have already checked your major expenses and you are still clueless about the root cause of the problem, you may need to take a look at your other expenses. There are some reasons your expenses are unbalanced and one of which is the failure to reconcile your petty cash with the rest of your finances. It can be such an issue especially if you are not sure what went wrong. However, if you know how to budget your money, you can spend it without having to worry about overspending. Some problems that lead to losing one’s business include financial mismanagement, which could have been avoided if budgeting has been kept in mind. It is easy to lose track of your financial activities if you deem your business to be profitable. However, unpaid bills, unbalanced account and financial troubles can create a negative effect on your business when it is left unresolved. When your business is headed in a direction that is completely different from what you hoped for, you might want to check one aspect of your business that might have been the sole reason for its stunted growth. As you take your business to another level, the stakes are also becoming higher. If you remain unfamiliar with the tax system, getting close to achieving your business goals may seem to be impossible. The tax system is full of complexities but understanding their importance and functions can help your business reach its full potential. The payroll tax is one aspect of your business that you have to take seriously especially small businesses. When you fail to comply with the payroll tax requirement, it can trigger havoc and may cause serious problems including losing your business. Worse, you can't get away with the government if you fall behind your tax obligations. This is why, you need to take action or you will find yourself out of business. Payroll tax does not take time to add up and it will be much harder for you to pay. Instead of using your money to invest in much bigger business ventures, you will end up paying a large chunk for your tax debt. Business restructures are inevitable as it is the only way you can make plenty of room for growth. However, the process that comes with it is complicated. You will also need to explore an effective business structure that comes with a caveat. When changing to a more effective structure, you need be prepared for CGT liabilities. A small business provides you complete access to small business concessions, but you cannot just pass yourself off as a small business without meeting the requirements. Once you expand your business, these small business concessions will also be forfeited. Without a doubt, the tax systems and other factors can greatly affect your plan of making your business grow. This is why you need to think how you can restructure your business without having a hard time dealing with these impediments. Make sure you know the ins and outs of your business if you really want a business operation that is smooth sailing. Tax systems can either make or break your business. In fact, you can be in an unfamiliar territory when you don't know the outcome of making a big move towards business growth. There are also other factors that can stunt your business growth and you need to learn how you can make some improvements without allowing your business to get affected by the tax systems. The road to growth may be difficult to tread but the journey will be easier once you get close to your business goals. Even if you are a savvy business owner, you are still not immune to making bad decisions. It is part of running your business. You need to make mistakes so you will know what to do the next time you are faced with difficulties in your business. If you learn from the mistakes you commit, you will be able to manage your business wisely. Perhaps, the biggest mistake that a bookkeeper can make is handling business finances. Many business owners have already failed because of taking their finances for granted. If you fail hiring the right bookkeeper, your business will sure suffer from its ripple effects. If you want to open a business, you should also be open to criticisms. Although nobody wants to be criticized, you need to be open to feedback and advice. You need to listen to what the bookkeeper has to say about your business because it is one way for you to run a better business. With these few simple changes, you will be able to realize that your business takes a more positive direction. If you have the habit of throwing away receipts, you can also increase the risk of losing track of your expenses. This practice can be dangerous because you do not have any evidence of the money you spent. As a result, you will face bigger problems once tax season comes. Make it a habit to save your receipts in a file or give them to your accountant or bookkeeper for safekeeping. Marketing can be expensive but it is essential to your business. This is why you need to spend your marketing budget wisely. With that being said, you need to make sure you focus on a niche that your product can successfully accomplish and satisfy. If you commit to a niche, you should only concentrate on the target marketing of your niche. It is easy to make adjustments if you have made a budget. You can easily monitor whether or not you are losing track. If you do not have any financial road map, you will be totally confused of the progress of your business and this could mean throwing your money away. If you want the road to establishing your business to be smooth-sailing, you need to raise your capital so you can open your doors to better business opportunities. Before you open your business, make sure you have enough capital and see to it that you are conservative in your estimates. A bookkeeper is crucial to every business as you cannot take on everything yourself. When hiring a bookkeeper, make sure that they are qualified and know more than just basic accounting. When you mismanage your finances, your business can take a nosedive. If you hire a good bookkeeper, you will be able to get good recommendations based on their experiences. 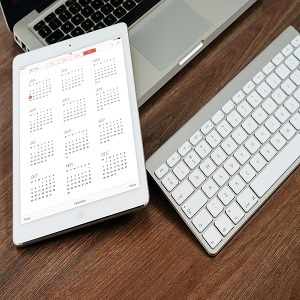 As a business owner, it is important that you regularly keep track of your finances. 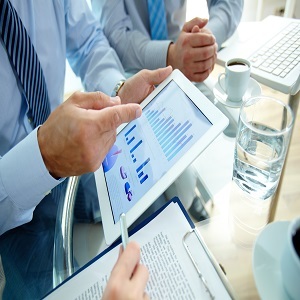 Regular business monitoring can help you determine where your business is going. It helps you change your bookkeeping habits and become keen on your finances. The Christmas and New Year are the best times to set new business goals for 2016, but you can instantly burst your bubble once you discover that your cash flow has also taken a holiday and there is no way you can materialise your business plans. Yes, cash flow is as equally important as other aspects of your business. Delayed payment collection process is one of the debilitating circumstances that can hurt your business in more ways than one. You can take a holiday all you want this Christmas, but knowing you have unsteady cash flow is enough to cloud your head with worries. More likely than not, trade payments slow down during and after Christmas and New Year. Usually, payments are made in January, but since there are fixed business costs that need to be paid regularly, your business is most likely to suffer and your plans for the New Year will be completely forgotten due to financial constraint. When your cash flow also takes a holiday, it can be a bad start for your business. A slower cash flow does not stop your daily expenses from piling up. In fact, your business can face a cash flow shortfall if you have not paid much attention to the payments or lack thereof. Create a plan to profit: If you have not reviewed your cash flow experience of previous years, it is time you start doing it because preparing ahead of time can reduce the possibilities of cash flow issues especially during the holiday season. You need to prepare for the duration and size of the slowdown so you can still stick to your New Year plans. Give priority to collections: Make sure you issue invoices promptly and send payment reminders, overdue notices and follow-up calls for overdue payments. This way, you can track your cashflow and avoid facing problems before the holiday kicks in. Put stocks to better use: Christmas may give you a hard time controlling inventory levels, but there are ways you can still use unsold stocks such as selling off older stocks cheaply. This way, you can free up the cash intended for your on-going expenses. Review your terms: The holiday is also the best time to assess your payment terms. Offer early payment discounts so you continue to improve seasonal cash flow. If there are large orders you can also negotiate full or part payments ahead of time. Try negotiating extended credit terms with your existing suppliers as well. Put away some cash reserves: Learn to survive the holiday season by putting away some cash into a savings account with high interest as this allows you to gain flexibility when dealing with your finances. You can also consult with a professional debtor so you will know what your options are. Christmas can bring a lot of challenges to business owners, but there are still ways to take care of your cashflow without breaking your business plans for the New Year. You just need to have mindful strategies so you can start the year strong. Do you know the difference that keeping a financial system for your business makes? One of its major advantages is to help entrepreneurs avoid costly mistakes caused by just overlooking a single financial activity. Your business expenses must not be taken lightly if you don’t want to put it at great risk. A financial system should not be considered trivial because aside from being a time-saver, it can also help you develop a habit of ensuring timely payments. Processes and systems play a crucial role in your business especially when you have so many tasks to attend to. It is easy to be off the track when you have some other things in mind. However, if you know how to handle your business’ financial aspect wisely, a steady flow of money will continue and you are less likely to face a major problem with the Australian Taxation Office. Pros: You make timely payments and prevent hurting your cash flow, which happens when you fail to pay the bills on time. Process: Appoint someone for this bookkeeping task and make sure they know the process for issuing a second invoice, following up on the process through a phone call and checking if your business has incurred any penalties or extra fees for late payments. Once you send the invoice, make sure you have not fallen behind your payment schedule. The invoice does not give you a guarantee that penalties and other extra fees will not be imposed. 2. Put a portion of your money for paying taxes. Pros: You encourage timely filing of tax returns and avoid penalties for late payments. Process: Mark your calendar so you will know when your payment due date approaches. Make sure you set aside money so the payment will be settled on or before the due date. 3. Make sure deposits are recorded correctly. Pros: You prevent out of the pocket business expenses especially when it comes to paying taxes. Process: You can keep track of your financial activities with the use of a system. It can be a notebook or more advanced bookkeeping software. Regardless of the methods you use, make sure it does not defeat the purpose of keeping a correct record of your deposits. See to it that the deposits are only intended for your income. Depositing your personal savings, loans and revenue from sales into one bank account may cause costly errors in the end as you might confuse your deposits as part of your income. Pros: You are well-aware of your financial activity and it is easy for you to track legitimate expenses. Process: Business expenses must be monitored closely and make sure you categorize your expenses. If you have just gone on a business trip, don’t forget to write down all of your expenses including lunches, air fare and other business events. 5. 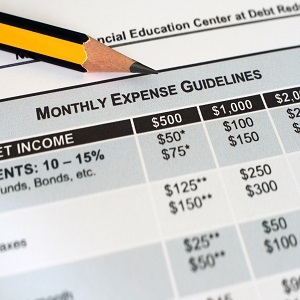 Create a plan for major expenses. Pros: It helps you analyze your budget for future business plans and avoid overspending. Process: For business improvements to be materialized, see to it that you plan ahead so you will know how much you are going to spend on it. Some business owners end up taking out a loan because of the failure to plan their major expenses. Even businesses have their ups and downs but you can still do something about it by keeping your company financially secure even when major improvements have to be done. Managing your business takes skills that only a few businessmen could master. Perhaps, you have already been venturing into a type of business where you need to be keen on your finances. Without a doubt, bookkeeping is the heart and soul of your business. It is not just a task you need to complete so you can fulfil your tax obligations. In fact, keeping an eye on your financial records can save you from being dragged into a potential lawsuit. Some businessmen can be so careless that they pay little attention to the business' important aspect. If you have already developed the habit of putting all of your business' financial records in one chequebook, being confused will never come as a surprise. It can be a huge problem in the end, but if you see to it that your business transactions are properly sorted and recorded, you can easily track if something in your business process is not right. When you consider separate banking and ensure that the money intended for your business is not spent for your personal expenses, you will begin to notice that your bookkeeping procedures have also improved in the long run. As a result, you will be able to provide better records, which can create a positive impact on your tax return. If you intend to form a new corporation, one of the best practices you need to follow, especially when managing a small business is to create a separate chequebook. This practice helps you identify that bookkeeping is your business's distinct entity and you avoid confusing your business funds for your personal funds. Small business owners consider embezzlement prevention as a challenge because fraudulent transactions are difficult to detect. Missing cash balances cannot be easily noticed until the amount has been recorded. Even blank cheques and fake invoices are proof that something fishy is going on, and both small and big businesses can fall victim to fraud. It can even go as far as inventing fake vendors on invoices so cheques can be issued to themselves. This is by far the most common way an employees steals from the company. The transaction raises a red flag once you discover that the bank statement is in somebody else's name. Unfortunately, it is already too late to put a lid on the transaction as it has already been made. There is a fine line that separates incompetence from fraud. This is why it is hard to conclude that the transaction that took place was indeed fraudulent unless it has been done habitually. For instance incorrect entries may appear as though the bookkeeper has been changing information, but at the end of the day you will realise that the bookkeeper just did not know the correct process. It is essential to know the telltale signs before jumping into conclusion. If a bookkeeper is having trouble matching accounts payable and accounts receivable to your balance sheet, you may need to review the information on the report. You will be given many reasons why the report has not yet been updated. In fact, a bookkeeper may tell you that the reason for not providing an updated balance sheet is because of faulty bookkeeping software. This leads to running a report manually. When reports are generated manually, the process will take longer than usual and the information can be altered. Bookkeepers will also blame the software for failing to reconcile a bank account. These excuses should be a cause for alarm and you need to act on it by regularly monitoring business transactions. Although you cannot easily detect or prevent fraud, there are ways you can prevent them and one of which is by giving bookkeepers deadline for running a report. Reports must be ready after month-end and you should review them monthly. It is also necessary to assign a different person for enter the bills and paying the bills. You can monitor where the money is being spent if you ask employees to attach cheques to the invoices. You must also sign your own cheques. Physical inventory also helps you check if there are suspicious transaction taking place. Your employees have to know you are monitoring every transaction. Many small businesses fail because of poor financial health, linked to inefficiency in bookkeeping and accounting. For small businesses to thrive, budgets must be tightly rationed and this will only take place if bookkeepers are keen on monitoring the financial activity of your business. You might have already heard of modern bookkeeping, which involves automation. Some small business owners still shy away from the idea of automating bookkeeping tasks because it has been thought to be intended for large companies only. Reconciling your books with the bank must be done on a regular basis and in a timely manner. Delayed account reconciliation can become a prelude to larger bookkeeping mistakes. Automation enables you to reconcile accounts easily and highlight discrepancies before bigger problems arise. Your cash flow is the lifeblood of your business. Every transaction must be tracked regularly so you will know how much you are earning and spending. Automation ensures all expenses are tracked. Human interaction increases the chances of committing fraud and this is what automation is capable of reducing. Since losses due to fraud can create a huge impact on the profitability of your business, automation will reduce the dependency of your business on human beings and the opportunity to commit fraud will also be reduced. Not deducting sales tax from a sale is a mistake bookkeeping professionals often commit. This is a costly mistake because not deducting sales tax will display a higher amount of sales. Another reason automation is critical to business processes is when you prefer to perform bookkeeping task yourself instead of hiring a professional bookkeeper to do it for you. Automation can assist you in ensuring that all of your business expenses are tracked and books are updated regularly. Businesses maintain a petty cash reserve in preparation for minor expenses. However, you can easily lose track of the money you withdrawn from this reserve, thinking that it will not really affect your cash flow. Running a business means keeping track of cash flowing in and out of your business. If you consider automated bookkeeping, you can easily keep track of these expenses and update your records regularly. If you are a small-business owner embracing traditional bookkeeping for years, adopting cloud technology is like treading upon a very unfamiliar territory. However, like a man setting foot on a new place for the first time, you need a compass to prevent being lost. Cloud technology may not be something you can learn overnight, but migrating to this technology can give you more benefits than you know. In the past, bookkeepers have to spend hours managing invoices, receipts and bills. With a vast range of organisation tools and technologies you can use today, you can reduce the headaches of manual tasks. Using cloud-based software, or also referred to as Software as a Service (SaaS) provides you access to technology where you can store and access your data conveniently via Internet connection. The primary concern of business owners who are accustomed to traditional bookkeeping is the lack of proper training when it comes to using cloud-based tools. However, embracing cloud technology does not really mean you are going to completely abandon traditional technology. Today's cloud-based software ensures that the transition will be as smooth as possible. Your team members do not have to be physically present to collaborate on a project. Since cloud-based software enables everyone to access the project without worrying about the location, checking an invoice or adding expense receipts anytime, anywhere and from any device will no longer be a problem. The success of many small businesses depend on the relationships with distributors and vendors. One issue that may catch the attention of a distributor or vendor is when a bill has not yet been paid. Questions will be raised and these can greatly affect the relationship that has already been established. With cloud tools, bookkeepers can verify discrepancies to find out if a bill has been missed or paid. Verifying these discrepancies preserves vendor relationship. The best part about using cloud tools is that you can access documents from any device. Since the documents are integrated with other cloud-based tools, team members will find it easier to access much-needed information. Manual data entry will also be reduced. Cloud-based software makes it easy for small businesses to collaborate, verify discrepancies and reduce manual tasks. This provides owners more time to focus on other aspects of the business. Some cloud software providers offer a trial version so reluctant businesses can give cloud technology a try before completely embracing it. The financial report allows business owners to get essential information about the condition and financial performance of a business. Being a business owner is not an easy task. You have to monitor your financial activity regularly and seize every opportunity to invest. However, these two important tasks will require prying into a financial report. Bookkeeping is a task a business owner often avoids. Which is why they hire a bookkeeper to spare themselves from the headache. Even if you already have a bookkeeper to deal with your financial statement, it does not mean you are off the hook. You are a business owner. You need to know how things are going with your business. This means you should know how to interpret a financial report. 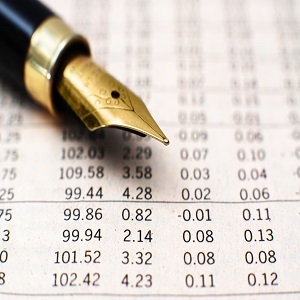 A financial report contains a plethora of information. Since it is the summary of the health of your business, you will be presented with information you wish or you do not wish to obtain. For instance, if you want to know whether or not your business is making a profit, read the profit and loss section. Allow your bookkeeper to discuss the strengths and weaknesses of your business before you proceed with asking for some sound recommendations. If you wish to get a copy of the financial report's simplified version, you can ask your bookkeeper to provide it. However, you have to keep in mind that this shortened report will not give investors and investment managers a clear idea of your business. The balance sheet, income statement, and statement of cash flows are considered the core of your financial report. You cannot make sense of your financial statements unless you have a rudimentary understanding of your financial statement. If you know nothing about your financial statements, interpreting them will be a daunting task. You will know your business generates profit if it is making sales. It should also keep expenses which are less than sales revenue. Reading the sales revenue is the best place to start in determining the profit performance of your business. Do you know the gross margin ratio of your business? If you were to compare the current sales revenue with the previous year's, have the figures increased or decreased? Cash flow is an important component of your business. It should continuously flow to maintain liquidity. Your cash flow will be used as your source of capital to grow your business. You do not just make profit as you also need to generate cash flow. Cash is obtained from selling off some assets, borrowing money or getting shareowners to put money in your company. You will need to know how the solvency of your business looks. Do you still manage to pay your bills on time? Analysing solvency involves searching for signs of financial distress. Failing to identify these signs can have a serious impact on your business. Fraudulent activities can affect your business. It may only be noticed if the company is already losing thousands or worse, millions. If you are presented with a revised statement, you need to ask an explanation from your accountant or bookkeeper. All too often, restatement is due to the fact that the original financial statements were based on fraudulent bookkeeping or accounting. Financial reports can be somewhat conditional, but it is an important source of information so investors are informed about executive changes, economic trends, business takeovers and much more. Many businesses are losing money because of fraudulent activities. While simply looking at the reports will not easily allow you to spot any fraud, prevention and detection are still essential to reducing loss. 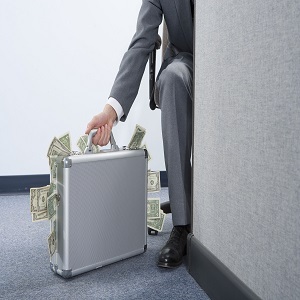 There are various types of fraud that can take place in the workplace. They are broken down into three categories: financial statement fraud, asset misappropriation and corruption. Financial statement fraud refers to schemes which involve intentionally omitting or misstating information in the financial reports. It is either the bookkeeper hides liabilities or inflates assets. Asset misappropriation is the type of scheme in which an employee exploits the company's resources. Corruption refers to extortion, bribery and even conflict of interest. In corruption, employees use their influence when doing business transactions only they can benefit from. If you see omissions or misstatement of financial information, this is a sign that something is wrong with your financial statement. While mistakes can be committed every once in a while, committing errors deliberately becomes a fraudulent activity as it is done on purpose. It is important that you review your financial statement regularly so you will know if your bookkeeper is tweaking any essential information on your report. Correct payroll guidelines and procedures must be observed. If they are resistant to change and insist on keeping old procedures, the financial and payroll records from previous years must be investigated for any incorrect or misleading information. It can be frustrating when you cannot find any essential business records such as deposit slips, payroll records and supplier correspondence. These records should be kept as they are going to be necessary for keeping track of your financial transactions. If they mysteriously disappear, you know that your bookkeeping has got some explaining to do. It is important for every business owner to create a reimbursement and expenses policy. For instance, billing your credit cards directly to your company must not avoided. bill them to the employee instead. It is also important to prepare an expense report for each employee and all receipts must be turned in for any business-related transactions. You should also set a daily limit as this will help you control the amount of cash employees spend. This policy imposes stricter rules that will enable you to monitor expenses effectively. Aside from the reimbursement and expense policy, you should also review financial records. These records should be complete, if any of the records are missing, you should ask your bookkeeper or the person in charge for explanation. Checks and balances must also be strictly implemented. Your income statement is going to tell you a lot about the financial strength of your business. Aside from your income statement, the cash flow statement and the balance sheet are also very useful tools. Although bookkeepers and accountants are often the ones taking care of these statements, it is still essential for a business owner to gain basic understanding of these statements. It is important for your business to have enough cash to stay afloat. Businesses often fail because of problems with cash flow. This is because cash may not always flow into your business. You can have a profitable business but still face cash flow issues. It is easy to identify whether or not your business is making a profit by merely referring to your income statement, but it does not give you details of the missing or delinquent payments. Business owners maintain a cash flow statement to gain a better understanding of the flow of cash in and out of your business. The update is done on a daily, weekly or even monthly basis. In determining your cash balance, you need to calculate the operational cost, asset investments and financing. The operational costs will give you a clearer picture of the cash you are generating before taking the cost associated with investments or financing into consideration. The asset investments refer to the inflows and outflows from sales and purchases of long-term business investments which include equipment, property, assets and securities. The financing refers to the cash you receive from line of credit, business loan or the sale of stock. The balance sheet shows the business assets, liabilities and equity of your business. Most likely than not, investors focus on your income statement, but the balance sheet can be used as a starting point for knowing the fiscal health of your business. The balance sheet shows you the summary of key financial information on a specific date or period of time. The balance sheet provides you a view of current and long term debt, asset management, net value of your small business and the comparative data where you can see changes in accounts receivable/payable, equity, inventory, retained earnings and cash. The income statement is also referred to as a profit and loss statement. This is a useful too because it provides an overview whether or not your business is going well. The income statement also gives you a break down of the revenue generated and the expenses incurred. You will know you have a well-maintained income statement if it provides details of the profit of your business and the steps you should take to increase profitability. When you decide to put up a business, the learning process will be never-ending. To some, a surviving business is enough, but without a long-term plan, your company will eventually join those businesses diving in a cesspool of debts. Romanticizing about happily ever after in running a business is not going to get you anywhere unless you develop smart habits that will keep your business thrive. Have you ever found yourself being pulled in different directions to ensure your business do not take a nosedive? 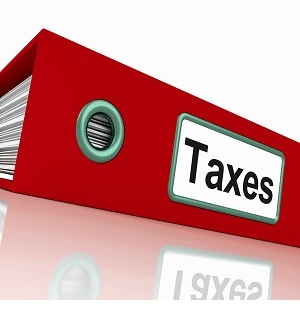 There are aspects of your business that you need to leave to professionals and one of which is preparing tax returns. It is important to outsource this task to someone who has the expertise because they are the ones who have trained financial eye. They are also well-versed when it comes to the ins and outs of tax deductions. Although you have bookkeepers and accountants to take care of your reports, this does not mean you should go entirely hands-off. You still need to actively participate in reviewing reports. That said, gaining basic understanding of business numbers is essential. Some of the information you should learn include trend in expenses, accounts receivable, profit and profit per customer. In the age of technology, it is imperative for every business owner to bring the right software into business. A good system will enable you to generate reports in minutes and ensure that the reports contain accurate information. Ask for recommendations from friends who have the same businesses as yours. Aside from gaining basic understanding of business numbers, documenting bookkeeping processes is also the best practice to follow. Noting the processes prevents confusion and answer questions. Once you know how bookkeeping works, it will not be difficult for you to spot errors as you already have an idea what could have gone wrong. Keeping expense receipts is another good habit a business owner should adopt. It enables you to keep track of your expenses and determine which direction your business is heading. While credit card purchases generate receipts and monthly statements, cash expenses need to be monitored regularly. These days, you can download accounting app that will give you the ability to take pictures of receipts as you go. This will help you track your expenses without keeping the paper copies. Every business owner knows that managing an enterprise takes a lot of time and money, especially when it is just at the beginning stages. When it comes to bookkeeping costs, however, this doesn’t have to be the case. In this article, let us take a look at three possible ways in which you can minimize your bookkeeping costs. The simple task of keeping all your records organized can go a long way in reducing your bookkeeping costs. The more details you have regarding each transaction, the easier it will be for your bookkeeper to do his or her job. Whenever you pay a bill, take note of all the details involved, such as the date and method of payment. This is particularly useful especially if you are handling more than one account. Likewise, if you provide only invoices and not the payment receipts themselves, bookkeepers will not be able to record these until the transactions show up in your monthly statement. In any case, it would be a wise idea to ask your bookkeeper directly how he or she wants you to present your transaction details. This way, you are able to provide them with all the information that they need to keep your records updated. Hence, by being organized, you are able to work efficiently with your bookkeeper, regardless of whether you are paying them an hourly rate or a fixed monthly fee. 2. Separate your business accounts from your personal accounts. Do not make the mistake of using a personal account for your business; otherwise, this will only make your records complicated and confusing for the bookkeeper to work with. Moreover, whenever you are paid in cash, avoid the temptation of keeping some of it for yourself. Instead, deposit it directly into your business account. By doing so, you are able to avoid problems when the bookkeeper is matching your account deposits. Again, this cannot be emphasized enough: keep your personal and business accounts separated. 3. Utilize a document management system. In the olden days, business owners would store receipts in a file or a shoe box, which is then brought out when the bookkeeper comes. The problem is, there are times when a receipt is misplaced or records suddenly get damaged in a fire or flood. You can avoid this problem by utilizing a document management system. This enables you to save a copy of your records, which can be accessed by you or your bookkeeper anytime. There are many document management systems available that allow you to save your financial documents online safely and securely. They are a great way of organizing and managing all your financial transactions, making things easier for your as well as your bookkeeper. Keeping your records organized, separating your business and personal accounts, and utilizing a document management system are just some of the ways in which you can minimize your bookkeeping costs. In this manner, you are able to save money and increase your returns in the process. There are many aspects of your business operation that the new technology is changing. Regardless of the aspects, one thing is for sure: the advances in technology have no signs of going slow any time soon. 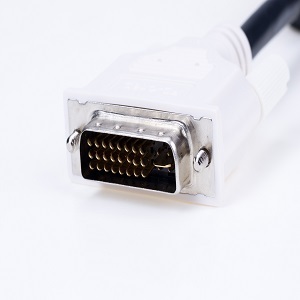 Some businesses have already chosen to embrace the current technology and they have made a great decision because they have already reaped the rewards, while those who choose to keep a legacy system have been left behind. 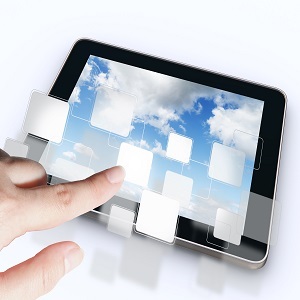 Bookkeeping technology will not be complete without embracing cloud technology. It indeed changes everything by making expansion, collaboration and mobility possible. Gone are the days when organisation fear data loss once computer crashes because now, everything can be accessed using a mobile device. You do not have to be chained to your desk because collaboration happens anytime, anywhere. One of the advantages of using cloud technology is its ability to access resources even outside of the office. While this was still possible in the past, it was an expensive and time-consuming endeavor. Technology has made it easy for people to find local businesses, shop or share experiences on social media. It is imperative for businesses to improve their online presence by ensuring that the website is also mobile friendly. Most customers would rather use their mobile device for web browsing because they can take it anywhere. 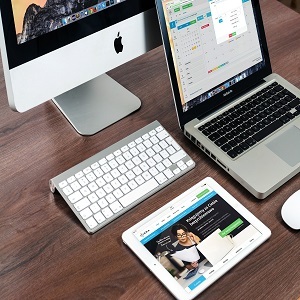 Business owners and employees are more productive with the use of smart devices. This is because they do not have to be in the office to collaborate or attend in meetings. Even when they are out in the field, they can still be flexible by working remotely. In the digital age, everything is connected easily. Even in workplaces one does not have to be physically present to stay involved in group meetings. In fact, there are tools that enable collaboration. Regardless of your location, you have the freedom to edit or work with the team. You do not have to worry about working together because everyone stays connected. Location is no longer an issue when it comes to collaborating on a project. With the new technology, a small business can achieve mobility and flexibility. This is also advantageous to bookkeepers as they do not have to conduct a daily meeting to find out about updates because it can be done using these modern advances in technology. Technology has indeed taken most businesses to the next level. Does Your Business Face These Payroll Challenges? Your employees are also the lifeblood of your business because they are the ones dealing with existing and potential clients. As a business owner, it is important that you are well-versed with the details of your employees' payroll. That said, they need to get a fair amount for the service they have rendered. There can be numerous problems associated with payroll. This is why no employers can afford to make mistakes because it is the employees' money that is at stake. It is necessary for employers to tax employees correctly as they may end up getting more or less than what is due to them. Once payments are not set up correctly, it will reflect on the annual Payment Summaries. The sad part of this oversight is that the ATO will be one to benefit from the money that is supposed to be awarded to employees. Since calculating employee's tax can be time-consuming, using small business bookkeeping software is a good idea. However, there are taxes that require manual calculation such as the unusual payments. These unusual payments include bonuses, terminations and commissions. Since they are calculated manually, the details need to be reviewed to avoid undertaxing or overtaxing employees. Employers must provide a choice of superannuation to employees. However, there can be cases when the worker does not select a fund and the choice will be left to the employer. The default fund is selected for making a payment and it is the employer who selects the default fund. When it comes to keeping receipts, businesses are recommended to file them for a maximum period of 7 years. The essential records that should be filed include leave records, hours worked super contribution, pay records, payment details and many more. These records should be treated with confidentiality as they contain employee information. The employees should also have access to their pay slips within one working day of pay day. If the employee is on leave, the employer should include specific information. Superannuation is specifically designed for ordinary time earnings. Superannuation can also be applied bonuses, allowances and loadings. Contractors who are sole traders should make a payment of superannuation based on the working arrangement's nature. There are business owners who consider a worker as a contractor but this does not necessarily exemptt them from paying superannuation. The online contractor tool will be able to help you determine if the worker needs to pay the superannuation. You should also be aware of late payments because the ATO implements stricter rules for delayed superannuation payments. Even the director can be held liable for the company's late payment. Tax returns can be lodged with a tax agent, but there is an easier and safer way to lodge your tax return. MyTax is web-based so you do not have to download anything. Using any device-computer, tablet or smartphone, you can lodge your tax return online. The information that you lodge is partially complete by automatically loading the current year information from organisations that report to the ATO including banks, employers and government agencies and the data from your account activity and previous tax returns. Once the information is ready, all you have to do is to review them to know if you need to update incorrect details or add missing details. More often than not, pre-filling information is available within a couple of days after it has been reported to the ATO. The information is available by early August. If you want to check the availability of pre-fill information for your health funds, investment income and government payments, you simply check the website of myTax. Some of the information that can be pre-filled include your salary, wages, dividends from your shares, interest credited to you by the bank, private health insurance information and more. The information will greatly depend on when the information was received from your employer and other organisations once you lodge your return. According to the law, it is necessary for organisations to report your information by August 14 for details of payment summaries and October 31 for information about your investments. It is also ideal for organisations to send the information much earlier. You have the option to check the information to pre-fill by starting your online return. It is also important to resolve any discrepancies with the organisation that provided your data before you lodge your return. The ATO checks the information that organisations have provided and matches them with the information you report on your tax return.